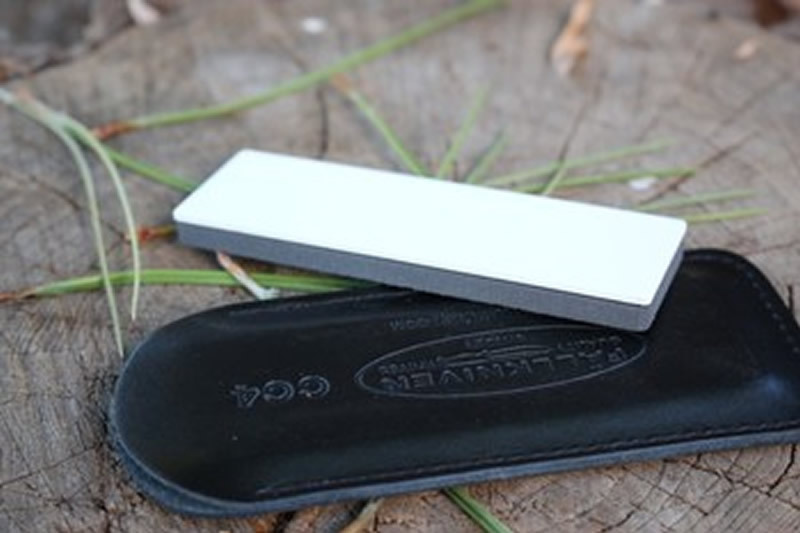 Superb honing stone for field use from Fallkniven of Sweden. This is the new CC4 a combination ceramic whetstone for that finest of edges. It consists of a super fine white stone (0.1 micron) and a fine grey synthetic sapphire (1.0 micron) these were developed by Fallkniven for their high end knife steels and can creat a superb cutting edge. The compact size (32mm x 100mm or 1 1/4in x 4in) makes them easy to carry and field expedient, they also come with a useful leather pouch. Use the form below to order the Fallkniven CC4 . Feel free to contact us if you have any questions about the Fallkniven CC4 .